Create in 1972, it is at the former presidential palace of Cameroon in German colonial architecture which was transform into house of culture and is today the National Museum. Locate in Yaounde this building over 130 years old brings you into the history of Cameroon through its diversity. National Museum open from Tuesday to Sunday except Monday which is close, hours are from 10 am to 18 pm. Visit is obligatorily make with tourist guide price for foreigners is fixe at 5000 XAF ( Cameroon currency ). Also the duration of visit varies between one hours and two hours and a half. The building has two levels, at the bottom you have the ground floor which has two parts. The first part of the first level is dedicate to people and some beautiful masks. However, the other part presents the many Cameroonian musical instruments representing the culture of different ethnicity. 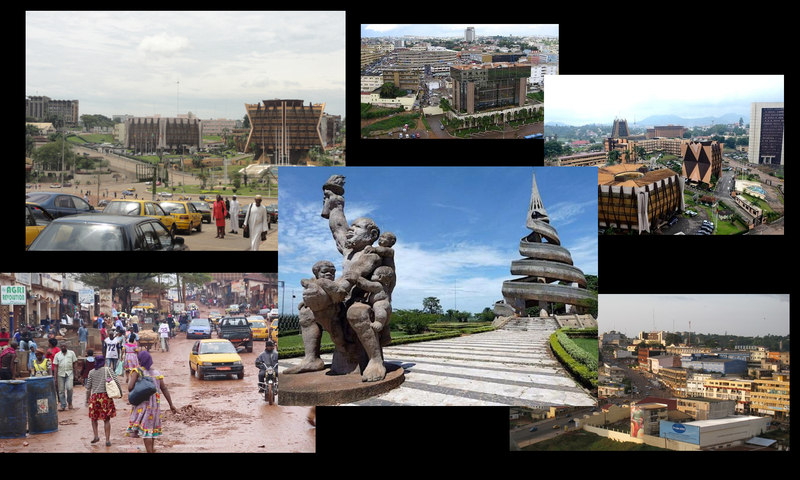 Furthermore the first floor presents the modern history of Cameroon in general and Yaounde city in particular. For this reason, you have various objects of arts and crafts of the country. 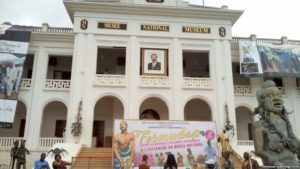 The National Museum is in the old Ahidjo presidential palace (the previous president) you have beautiful bronze statues outside, which are the only things you can take pictures of. In effect building is renovate and very clean which is nice but you can’t take pictures inside. There is a guide for each section, you start on the first floor with recent history through photographs. The culture and history of Cameroon parts are much more interesting. The National Museum of Yaounde is the house of Cameroon’s culture .with all his diversity. For this reason you will especially enjoy instruments, houses from all Cameroon’s regions and traditional costumes sections. In conlucion visit this place is informative because you will discover Cameroonians traditions and legacy. I precisely wanted to appreciate you once again. I do not know what I might have made to happen without the actual creative concepts discussed by you regarding this theme. It absolutely was a very difficult circumstance in my circumstances, however , discovering this skilled form you resolved that forced me to leap for fulfillment. I am just thankful for this advice and even pray you know what a great job that you’re accomplishing training other individuals via your web site. More than likely you’ve never met all of us.